For many travellers, combining a bush experience with a beach break is the way to go and such package holidays offer great value for money. There are numerous tailor made safaris plus island getaways between South Africa and Mozambique so come and blend the best game viewing with the most pristine beaches in the Indian Ocean. One of the most popular safari – beach holidays in Mozambique start with Machangulo Beach Lodge and a few days at the famous Lion Sands River Lodge in South Africa’s Kruger National Park. You can enjoy an 8-night Kruger and Beach break with 4 nights at Lions Sands River Lodge in Sabi Sands Game Reserve and another 4 nights at Machangulo Beach Lodge in Mozambique. From only US$4 135 per person sharing, you indulge in game viewing and beach relaxation on one holiday. 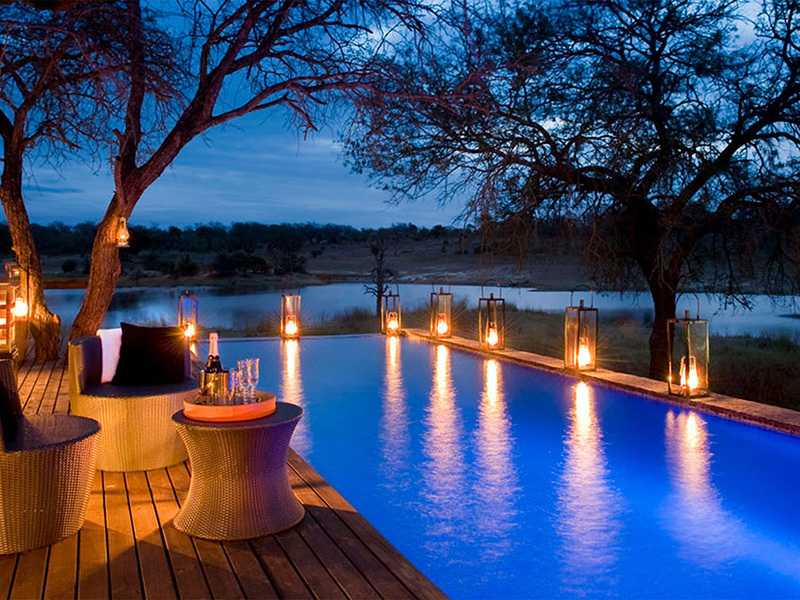 Situated in the Sabi Sand Private Game Reserve within the world-famous Kruger National Park, Lion Sands River Lodge offers guests a home away from home feel with a choice of 20 suites featuring bush or Sabie River views. Machangulo Beach Lodge offers luxury chalets nestling on top of a large dune with views of the beach below. Enjoy fun outdoor activities such as kayaking, snorkelling, diving and island excursions – this is a beach lover’s paradise! Another awesome safari and beach holiday in Mozambique is the combination of Chitwa Chitwa in the Sabi Sands Private Game Reserve and Anantara Bazaruto Island Resort & Spa in the Bazaruto Archipelago. Indulge your senses with 3 nights at the stylish and luxurious safari lodge, Chitwa Chitwa, with its excellent game viewing and discerning service. Follow this up with relaxation on one of Mozambique’s best beach resorts, Anantara Bazaruto Island Resort and Spa. Your 7-night combination package starts at only US$4 295 per person sharing. Chitwa Chitwa is highly acclaimed for its excellent game viewing as all hunting in the area has been abolished for decades. The lodge overlooks a nearby lake – a popular drinking hole for a wealth of wildlife. Your bush holiday includes 2 game drives a day or daily walking safaris to get close to the breath-taking wildlife and their habitats. The splendid Anantara Bazaruto Island Resort and Spa offers guests a wide range of activities, beautiful beach chalets, delicious fresh seafood on an island with golden sands and turquoise waters. Enjoy daily snorkelling trips to Neptune’s Nursery and your 3 delectable meals daily. Your safari and beach holidays in Mozambique can also make the most of beaches like Inhambane, Vilanculos, Maputo and Pemba. You can then fly to Gorongosa National Park for a few days in a true wilderness or south to the stunning Maputo Elephant Park. Appreciate the fine things in life – getting out into nature and unwinding!